Lil Baby continues to solidify his place as 'Rookie Of The Year' in 2018, announcing today a new project Street Gossip set for release on November 30, 2018 (Quality Control Music / Wolfpack Global Music / Motown / Capitol Records). The project is described as a thank you to the fans and a show of appreciation for the monumental year he has had thus far. To celebrate the project's release and doubling down on his sentiment, he is throwing a free Lil Baby & Friends fan show in Atlanta on November 29th, the eve of the project's release. Lil Baby's breakout year just keeps getting better. Six months ago his debut Harder Than Ever entered at #3 on The Billboard Top 200, and in that short time he's amassed more than 2.6 BILLION streams. Lil Baby said of the project "My fans been with me since day one and this project my way of going hard for them and giving back the love the same way they do for me." Last month he teamed with Gunna on the Drip Harder project, which also debuted in the Top 5 of The Billboard Top 200. In addition, eight out of the thirteen songs off Drip Harder charted on the Billboard Hot 100 with "Drip Too Hard" peaking at #4. Lil Baby is now putting the focus back on his solo breakout year, previewing a new song clip and his Street Gossip release date announcement. 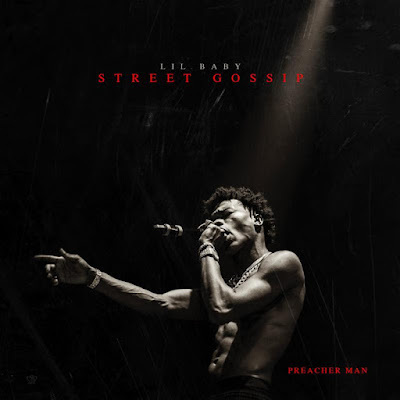 Earlier this year Lil Baby's 'Preacherman' documentary that took us to his neck of the woods in the ATL, depicting Lil Baby's rise in the industry from hustling drugs and dice, going to jail, and now his story hustling rap.